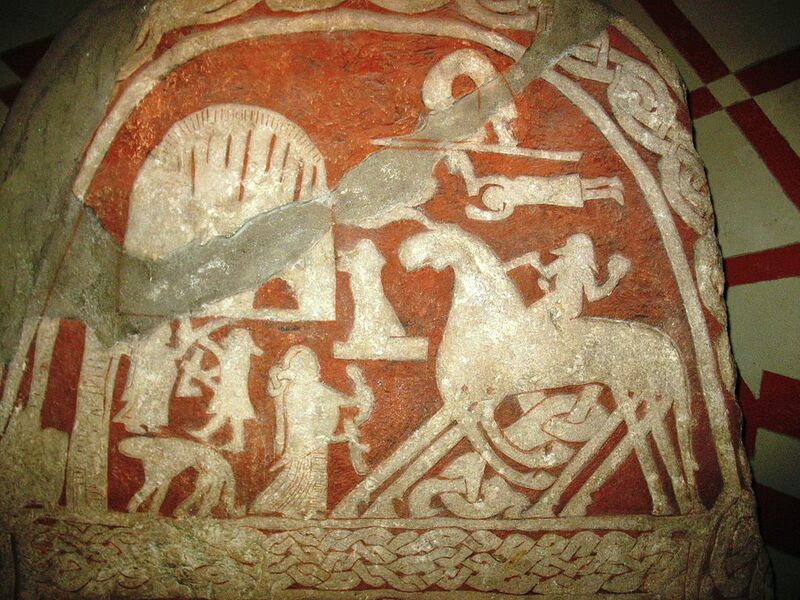 Odin arrives at Valhalla, riding his eight-legged horse, Slepnir. Photo by Berig. 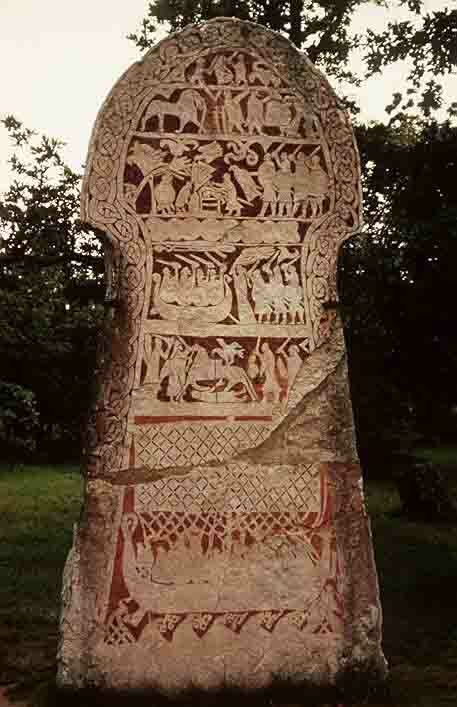 Image stone from from Tjängvide, Alskog Gotland (Go 110)This file is licensed under the Creative Commons Attribution-Share Alike 4.0 International, 3.0 Unported, 2.5 Generic, 2.0 Generic and 1.0 Generic license. Jarnsaxa Rising’s Indiegogo campaign is complete. As I write this, we are in Minneapolis*. Tonight, we have our first table reading with the cast and director. As I’m writing this, Vince is taking a well-earned nap, for putting up with an over-excited playwright. I’m watching raindrops on maple leaves outside the window, and getting all my notes and administrative stuff in order. 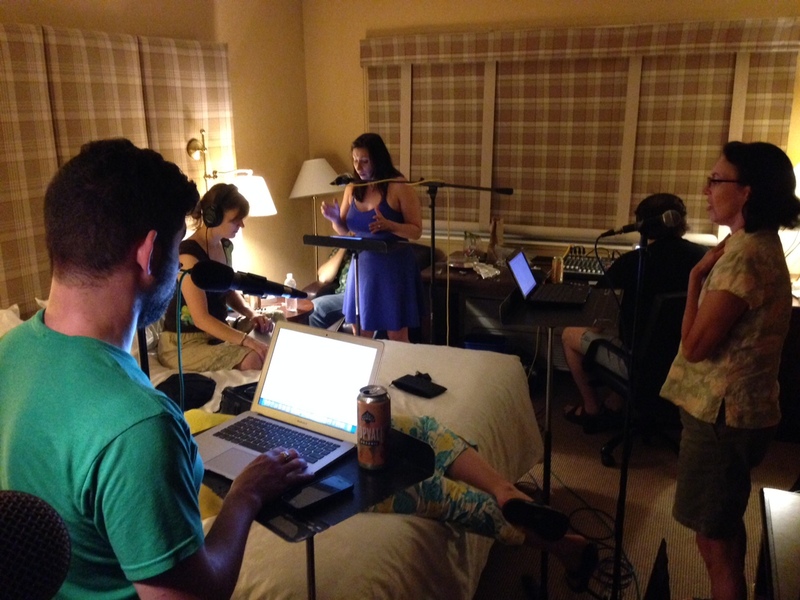 Speaking of since fiction and comedy, we also have to thank the creative team behind The Hadron Gospel Hour. I started listening to their podcast a few months ago, and enjoyed it enough that Jarnsaxa has been taunting their characters on Twitter. They were kind enough to promote our Indiegogo campaign, and I didn’t even had to ask them. Like our characters, The Hadron Gospel Hour’s Dr. Oppenheimer and Mike travel through space and time trying to make things right. However, they’re less vengeful, and funnier. Strength. 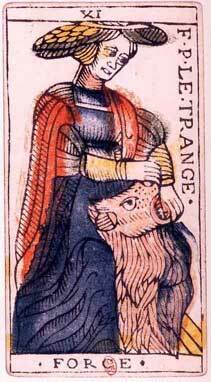 An original card from the tarot deck of Jean Dodal of Lyon, a classic “Marseilles” deck. The deck dates from 1701-1715. 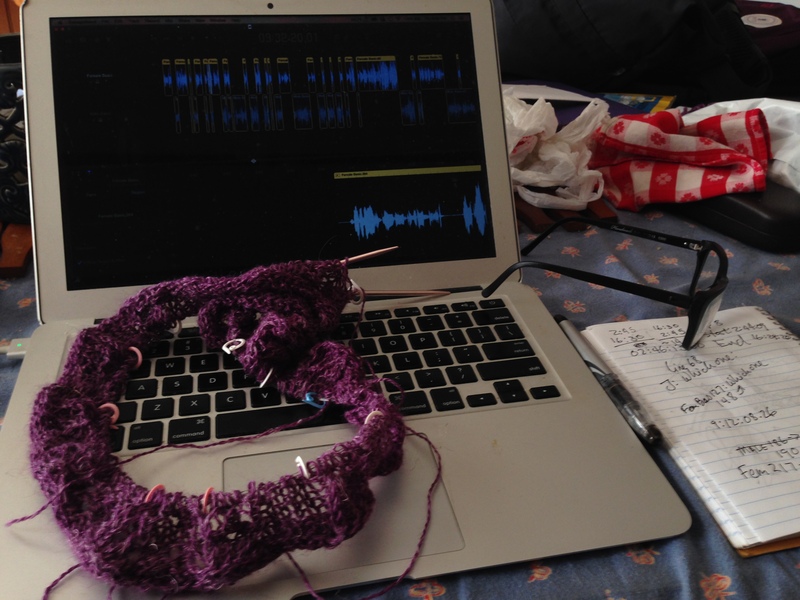 There is no playbook for, “let’s travel halfway across the country to record a science fiction revenge tragedy audio drama serial,” and the risk has been nerve wracking at times. Having people say, “Of course this is a good idea,” gives us strength and courage. Thank you again for helping us take risks and bring an unusual story to life. *If you’re saying to yourself, “Self, doesn’t that mean that their house is unguarded?” then you can guess again. If you’re casing out our house, you have probably already met our police-trained and extremely dangerous house-sitter. He waters plants, cuddles cats, and strikes without warning. Good luck with that.